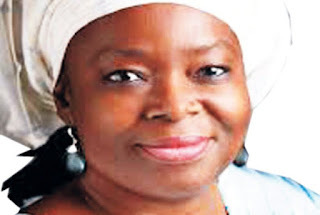 The Economic and Financial Crimes Commission (EFCC) yesterday told the Federal High Court in Lagos that former Minister of the Federal Capital Territory (FCT), Jumoke Akinjide, returned N650 million she allegedly received ahead of the 2015 election,The Nation reports. She was arraigned along with a Peoples Democratic Party (PDP) leader in Oyo State, Olanrewaju Otiti, a chief, a former Senator representing Oyo Central Ayo Adeseun and a former Minister of Petroleum Resources, Mrs. Diezani Alison-Madueke, who is said to be at large. The EFCC accused them of conspiring to directly take possession of N650 million, which they reasonably ought to have known was part of proceeds of an unlawful act and without going through a financial institution. An EFCC investigator Usman Zakari, while testifying in a trial-within-trial to determine the truthfulness of the defendants’ statements, said his team received N10 million bank draft from Akinjide’s husband, Aliyu Pategi, out of the N650 million traced to her and others. He said another team headed by Shuaibu Shehu received N640 million from Akinjide in a related case. While being cross-examined by Akinjide’s lawyer, Chief Bolaji Ayorinde (SAN), the witness said the N10 million deposit payment was not the condition upon which Akinjide was released. Zakari said Pategi stood surety for Akinjide when she was granted administrative bail. “On August 10, 2016, he volunteered a Sterling Bank draft of N10 million on behalf of his wife as part payment of the N650 million that was traced to her and her co-accused. “The N10 million was paid by the first defendant’s husband on her behalf and the remaining N640 million has not been paid,” Zakari said. Justice Muslim Hassan adjourned until October 18.